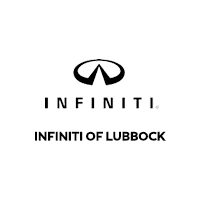 A proud part of the McGavock group, INFINITI of Lubbock, Texas, works hard to keep our focus where it belongs — on our customers. By combining transparency, attentive service, and honestly, we create the best possible car-buying experience for everyone we work with. This experience starts with our lineup of new luxury INFINITI vehicles. Every vehicle we sell, from the powerful INFINITI QX80 to the versatile INFINITI QX60, comes with INFINITI’s signature classy design and convenience. We also have an extensive stock of reliable pre-owned INFINITI cars and other used vehicles. Once you choose your new vehicle, we will build a lease or loan that is personalized to your needs. lease or loan deal We can also help you keep your INFINITI running like new for years to come with specialized maintenance. We’re your local source for high-quality OEM parts and accessories. For a better dealership experience, visit us in Lubbock, Texas. We serve customers from Amarillo and Abilene, Texas, and Las Cruces and Roswell, New Mexico. Reach out to us at (806) 410-2100 for more information.